This is a really super idea that no child should be without. This toothbrush holder and timer is useful as well as fun. 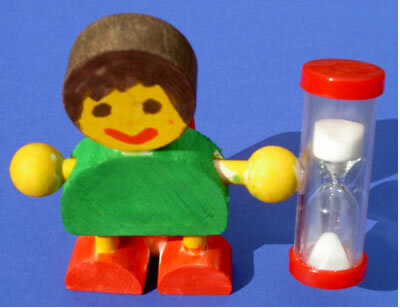 It encourages kids to brush their teeth thoroughly for the recommended two minutes. They can either apply acrylic paints, or use our special pens or wood stain to decorate the figurine and then seal it with varnish.